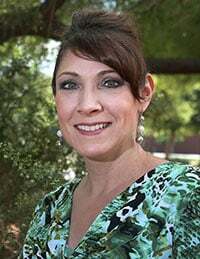 The College of Nursing and Health Care Professions at Grand Canyon University will have opportunities to demonstrate its excellence and strategies for continuous quality improvement as it hosts examiners from the Commission on Collegiate Nursing Education (CCNE) and the Arizona State Board of Nursing this week. The accreditation representatives will be on campus Wednesday through Friday to conduct an in-depth site review of six nursing programs — the BSN, post-master’s advanced practice nursing and the doctor of nursing practice — and tracks within them. Their feedback will help the CONHCP continue to aim for the highest quality of nursing education, said Dean Dr. Melanie D. Logue. Periodic accreditation is important for many reasons, Logue said. “Graduates from accredited nursing programs qualify to attend other accredited schools to pursue advanced studies, and they may become more competitive in the job market because employers seek nurses who are trained under nationally established standards for nursing education”, she said. In addition to national accreditation, each state sets standards for and approves schools that educate nursing students who are eligible to sit for the National Council Licensure Examination (NCLEX) in their respective states, she noted. The CONHCP, which has been teaching students since 1981, has maintained continuous state board approval and national accreditation. The state board gave its initial approval in 1982 with full approval in 1985, when the college also was accredited by the National League for Nursing Accrediting Commission. In 2000, the CONHCP elected to change its accrediting organization to the CCNE and was granted initial accreditation for five years. The undergraduate programs were re-accredited in 2005 for 10 years and the received initial accreditation for the graduate programs for five years. In 2010, the graduate programs were re-accredited for 10 years. “We believe our visitors will see the passion that the college faculty and administration have for the students they serve,” Logue said. “Whether our students want to enter the nursing profession or continue their commitment to advancing their knowledge in nursing, the college takes the responsibility of creating a quality curriculum, providing knowledgeable instruction, and ensuring students have the opportunity to apply their knowledge and skills to real situations as mission critical. “We endeavor to produce safe effective, workforce ready nurses that care for patients throughout their lifespan, provide the spiritual support patients seek, and contribute to the care of the community they serve,” she said.